As I may have mentioned before, I’m a huge fan of French Sole, and when a pair of sandals I’d been lusting after for weeks came up in their sale – but not in my size! 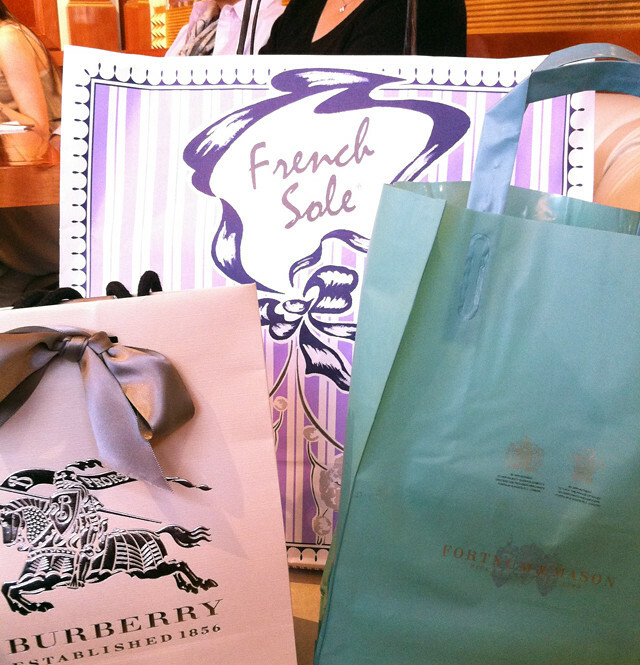 – there was nothing to be done except to get myself posthaste to my nearest FS store in order to bag a pair in person. The only issue with that is that my nearest FS store is in King’s Road, about an hour and half by car or between two to three hours on public transport. So, of course, this meant a day trip to London, and negates any savings I may have actually made on buying the shoes full price. But that is just a minor detail, so there’s no need to bring that up. 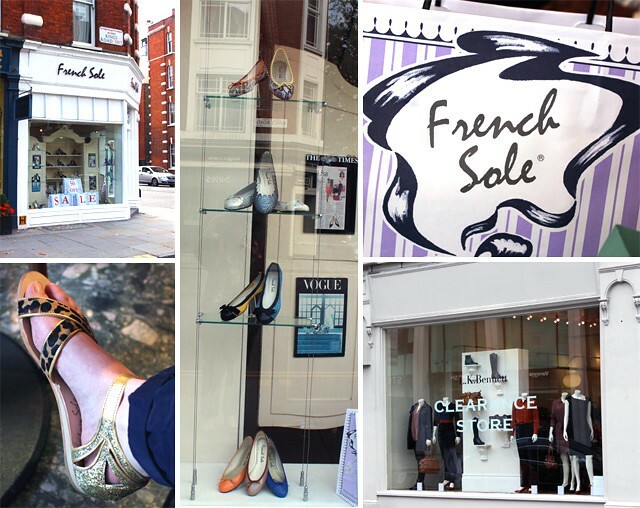 In order to get to the French Sole shop on King’s Road via the Tube, you face a pretty long walk from Sloane Street or a shorter one from Kensington, which then takes you along Fulham Road. This then takes you past an Amanda Wakeley store (Kate Middleton fans take note!) and a Butler & Wilson shop, which is a treasure trove of gorgeously over the top accessories. 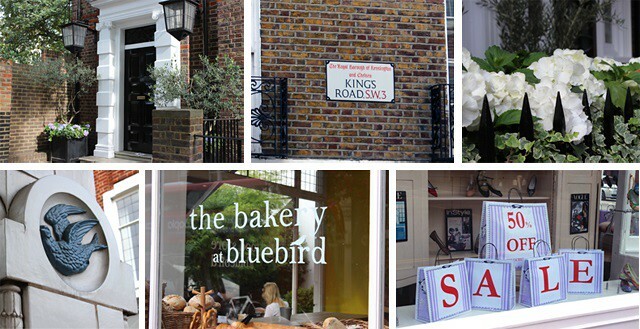 You then can then pass through any of the residential streets that connect Fulham Road to King’s Road, and soak in the beauty of Chelsea living – I am so jealous of some of these beautiful front doors! King’s Road itself is a stomping ground for the Middleton sisters (and their glam mother, Carole, of course), and Bluebird has hosted many a cosy family lunch and is definitely worth visiting. Quite a few of the shops on King’s Road will be recognisable to a Kate Middleton fan (like an awesome L.K. Bennett clearance store! ), but it was one shop in particular that I was honing in on! Inside French Sole’s Chelsea branch, the sales were in full swing and the sales assistants were run off their feet getting different sizes and styles for their customers – always with a smile, I have to add. Luckily, they had a pair of the beautiful sandals I was lusting after in my size, so after purchasing I immediately put them on in order to get some wear out of them before autumn well and truly took over! After that it was time for me to run loose in London – I didn’t have a lot of time, but I was able to visit the Burberry store on Regent’s Street (more on that in another post!) 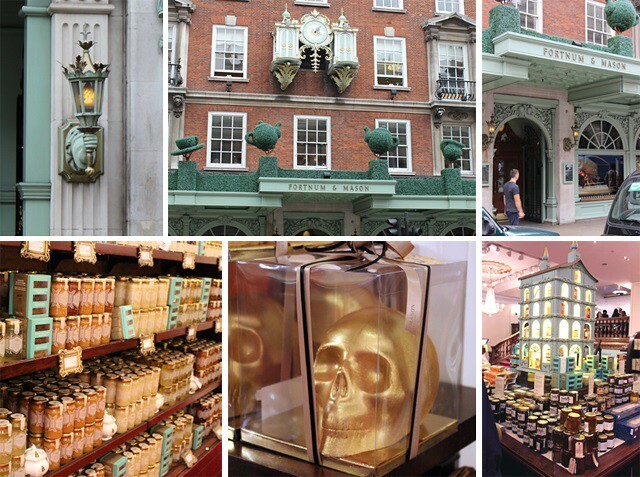 as well as to pop into Fortnum & Mason! I adore honey (on toast, mixed with yogurt and fruit, eaten straight from the honeycomb… Love it!) so I was really excited to see the display celebrating London honey (this festival continues until 13 October). Plus, there were loads of gorgeous Halloween goodies – and the Christmas store was open on floor three as well.